Italian succession: what is it and who can make a Will? Italian succession: all you need to know about Wills, Executors, and heirs. Read more. Italian succession is based upon the Will, namely a revocable act, by which the Testator makes decisions on how his/her estate will be managed after his/her death (article 587 of the Italian Civil Code). Everyone can make a Will, except for minors, legally incapacitated persons, and persons of unsound mind. Beneficiaries of a Will can be both individuals (even though conceived before the opening of the succession process), and legal entities. In order to prevent voiding the Will, it is important that all Beneficiaries are named clearly and unambiguously. Freedom of choice and revocability are two essential conditions of the making of a Will, and they are guaranteed by law. In matters of succession, Italian law especially protects the deceased’s close relatives, reserving for them some shares of the estate, regardless of the deceased’s wishes. Heirs are not to be confused with legatees: while heirs take over all or part of the Testator’s estate becoming at the same time responsible for inherited debts, legatees acquire proprietary rights without being liable for the Testator’s liabilities. Italian succession: what kinds of Wills exist? Holographic Wills, written, dated, and signed by the Testator’s own hand. Public Wills, written by a notary in the presence of two witnesses. Secret Wills, delivered to a notary in the presence of two witnesses and sealed either by the notary or by the Testator. Its content remains secret until the opening of the succession process. On board of a vessel or aircraft. In this case the Testator’s last wills can be collected by the captain of the vessel or aircraft. When the Testator is a member of the army. It is also worth mentioning the so called International Will, which is governed by Law No. 387/1990 (ratifying the Washington Convention of 26th October 1973), and can be made by Italians living in Italy, as an alternative to the above mentioned kinds of Wills, by Italians living abroad, or by foreign nationals who find themselves in Italy for any reasons, provided that they come from countries that have joined the Washington Convention. The international Will consists in a Document written by a Testator and delivered to a notary, together with the Testator’s declaration in the presence of the notary and of two witnesses that the delivered document is the Testator’s Will and that he/she knows the contents thereof (the so called Certificate, which is written in the form provided in the Convention and to which the Will Document is attached). Italian succession: Which are the duties of the Executor of a Will? 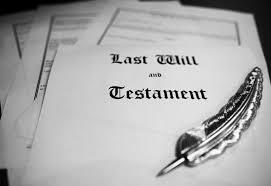 In Italian succession, the Testator can name one or more individuals, who are given the responsibility of executing the provisions of the Will. This person is referred to as the Executor of the Will. After taking possession of the Testator’s estate, the Executor will have to manage it, usually without any kind of remuneration, apart from a reimbursement of expenses. The Executor can also be one of the Beneficiaries named in the Will. The Testator is free to decide if he/she wants to modify or revoke the Will. These are inalienable rights. By alienation or transformation of the legacy. The revocation of a Will can be itself revoked, thus reviving the original provisions. Want more information about Italian succession? Contact us.